In this YA Adventure/ Fantasy Series, a young teen visited by a dream-walker learns that she possesses a unique 'soul signature' and has been chosen by a race of ancients to inherit the most powerful magical object in the world. In Book One --The LightBridge Legacy: Destiny's Call-- an unexpected move to New York City challenges her courage and resilience as she encounters both natural and supernatural enemies, but when she sees a vision of death in a 'future memory,' she is faced with a decision that will change the course of her life, and the lives of those she loves, forever. 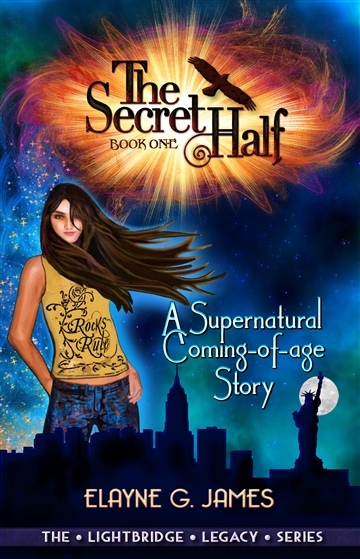 "What do you get when you mix in some ancient magic, some preteen angst and destiny? The amazing first book of a trilogy that will have you turning pages late into the night! The characters are believable. The scenes are so rich with detail you can smell the desert and feel claustrophobic in New York. The plot has left me hoping the next book is already in stores! I will be following this author!" A magical journey-- can't wait to see what happens next! The book is likely written for young adults -- but in a Harry Potter sort of way, it is meant for anyone with a sense of adventure and desire to go on a mystical journey. The characters are developed well and make you want to get to know them better, as I found myself rooting for the main character Ani while she discovered her secret powers and learned of distant people and lands. The writing style is easy to follow and gives the reader a sense of being right there as Ani learns she is not just an ordinary human. We all have fears as does Ani-- but when you watch someone face their insecurities and fight for what is right, you can't help but to cheer them on. With a wild cast of characters, many lessons to be learned, and twists and turns galore -- this book will keep you reading and not wanting it to end. "I came across this book by accident and started reading it purely to check it out. I was not expecting to enjoy this story as much as I did and found myself staying up late, racing through the pages just to see where this journey takes me. While this book seems to be aimed at a young teenage or pre-teen audience, I found the book to be just as enjoyable as an adult and find myself relating to the escapades of all characters. The tale of Ani Jasper is a coming of age story that follows her through the natural and supernatural world in the Mojave Desert until she is transplanted to New York City. We follow our protagonist is she is thrown into a world of bullies and street gangs and cheer with delight as she learns to harness her powers to achieve victories. There is a deeper tale of family dysfunction that makes the characters extremely real and compelling for a fantasy novel."